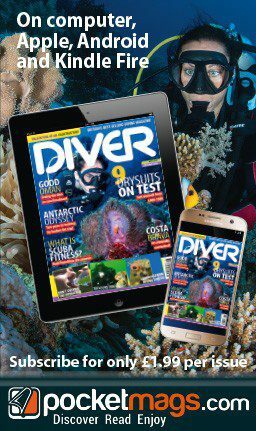 For details of advertising rates for DIVER and DIVERNET, or exhibiting at The DIVE SHOWS, please complete the email form below. We will get back to you with full details of how to get the most out of our worldwide audience. PLEASE NOTE: Please COMPLETE ALL FIELDS of the form so that we can process your enquiry.